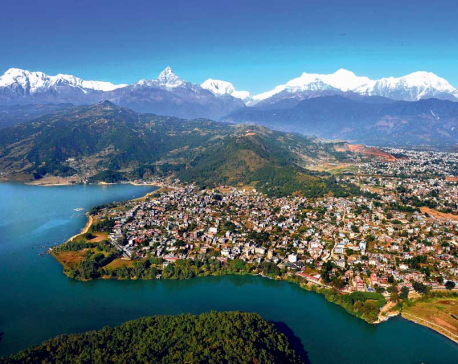 POKHARA, Feb 20: Gandaki Province is celebrating Internal Tourism Year 2019 -- a year-long domestic tourism promotional campaign -- without any preparatory work. Concerned authorities of the province are holding discussions to implement a tangible action plan for achieving targets of the campaign when they should be deep into implementing one at this time. The provincial government had announced the yearlong campaign, setting a target of attracting over 2 million foreign tourists by 2022. However, the ambitious vision looks comical considering the planning and execution of Internal Tourism Year. Creating employment opportunities for local people by increasing the volume of domestic tourist is another target of the campaign. Similarly, the provincial government is also hoping to bring economic prosperity by observing Internal Tourism Year. Speaking at a discussion in Pokhara, Diwakar Pokharel, deputy secretary at the Minister for Industry, Tourism, Forest and Environment of Gandaki Province, said a sustainable growth of tourism industry would bring economic prosperity in the province and create countless employment opportunities. He also added that the provincial government has set aside Rs 5 million for effective implementation of the event. Though the provincial government has set a target of welcoming two million visitors by 2022, there is no mechanism yet to keep the record of tourists visiting the province. Despite this, officials say that they tourist footfall in the province is already in the tune of 1.5 million. 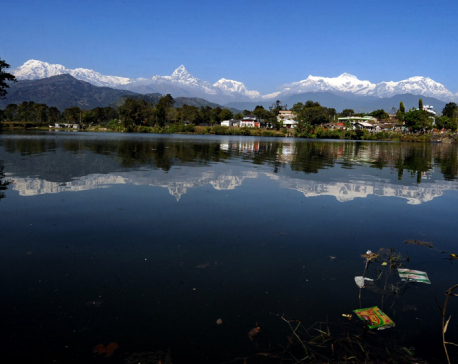 Hoteliers of Pokhara say domestic tourists account for around 50 percent of their total occupancy, or around 600,000 domestic visitors a year. Other destinations in the province like Manang, Mustang, and Manakamana also get substantial number of domestic tourists. The provincial government has also set a target of increasing average daily spending of domestic tourists to Rs 5,000. However, the provincial state machinery does not have any mechanism to measure average spending of domestic tourists. Even though the provincial government is working to prepare action plan with a goal to attract 1.5 million domestic tourists in 2019, no concrete ideas for achieving the targeted numbers were presented during the discussion.